Today we’re going to be talking about a snus product for the American market: Camel Snus Winterchill! 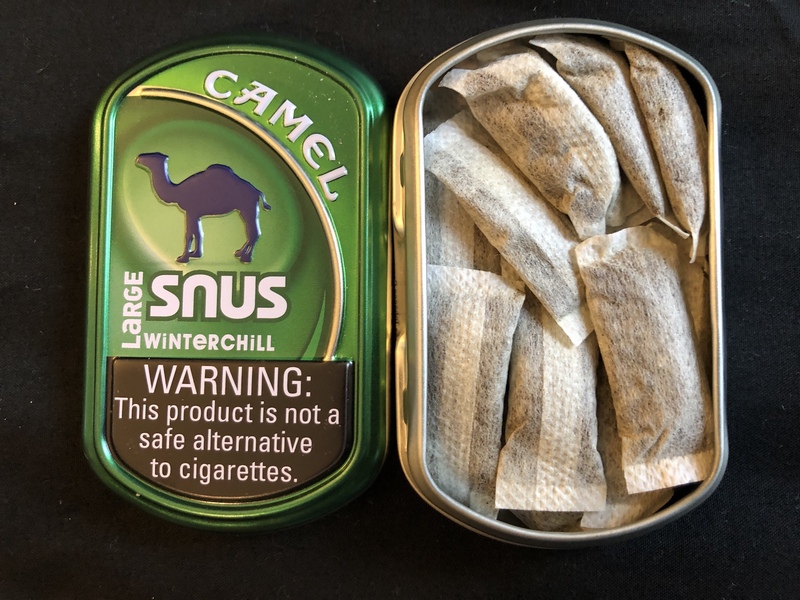 Camel Snus Winterchill comes in the large size, which means there are 15 pouches per can, which are around 1 gram each. I’m not sure what the nicotine content is exactly, but I’ve seen it listed online as anywhere between 2.5mg/g to 8mg/g. So, we’ll just call it “regular strength”. 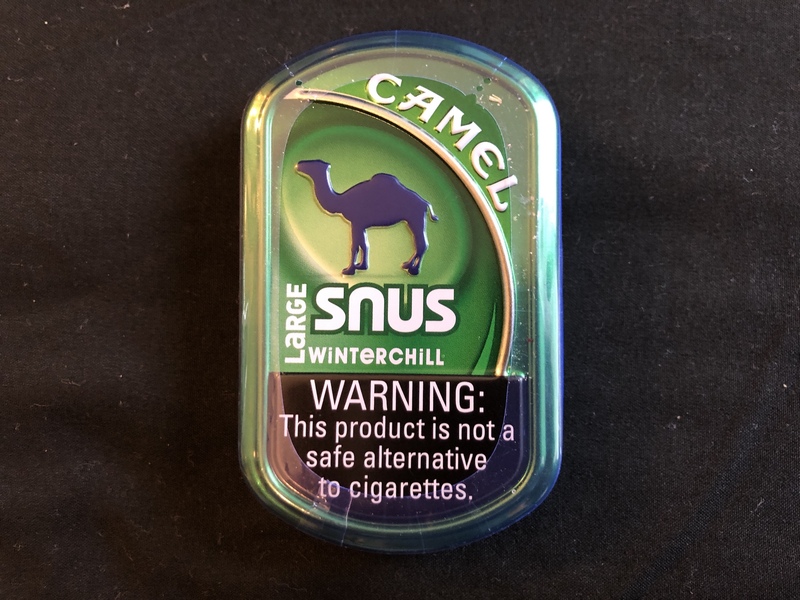 The flavor description for this one says, “Camel Winterchill Snus has cool wintergreen and tobacco flavor. This snus has a slim white pouch.” If you’re an American and want a wintergreen flavored snus, you may dig this stuff! One thing you’ll notice about Camel Snus is that it comes in more of an oblong can – a big difference from the round cans we see with Swedish Snus or American moist snuff. The aroma of this stuff is a sweet, fresh smell of wintergreen. The portions are similar to the long/slim type in Swedish Snus, but these seem to be more thin than a slim portion. They do seem to be a little dryer than a regular Swedish Snus white portion. When it comes to the flavor, it is a little on the sweet side and has a present taste of wintergreen. If you’ve ever had the Wintergreen Tic Tacs, this tastes a lot like that. The flavor, on average, seems to last about 30 minutes. As far as the nicotine level goes, it isn’t too strong; it feels to be about as strong as a mini portion snus. If you’re looking for a sweet wintergreen product with a lower nicotine content, Camel Snus Winterchill may be right up your alley!